The gas stations are all ‘pay inside’. I have yet to encounter a pay-at-the-pump station ANYWHERE. When you buy a car, the dealer tells you how big the tank is, and how much you approximately pay per tankload. So, you bring your usual amount of cash inside to the employee at the counter, tell him your pump number, pump your gas and drive off. I CANNOT COMPREHEND THIS! Why? I hate pumping gas. I want to go as few times as possible. So why would I want to accidentally underestimate and drive away with less than a full tank? I’d just be back sooner. AND, what if I over estimate? I’d have to go back inside for change. (this website says they don’t give change! but I have gotten change at the few places that didn’t take credit) ARGGGGG…..
Lemme insert here that few pumps have that little lever that keeps the pump pumping without you holding on. My neighbor told me that it was kinda a group decision to have it this way. The gas stations were not earning enough money in the store when they experimented with paying at the pump. Yeah, that problem happens in the States too. But the public demanded the convenience. 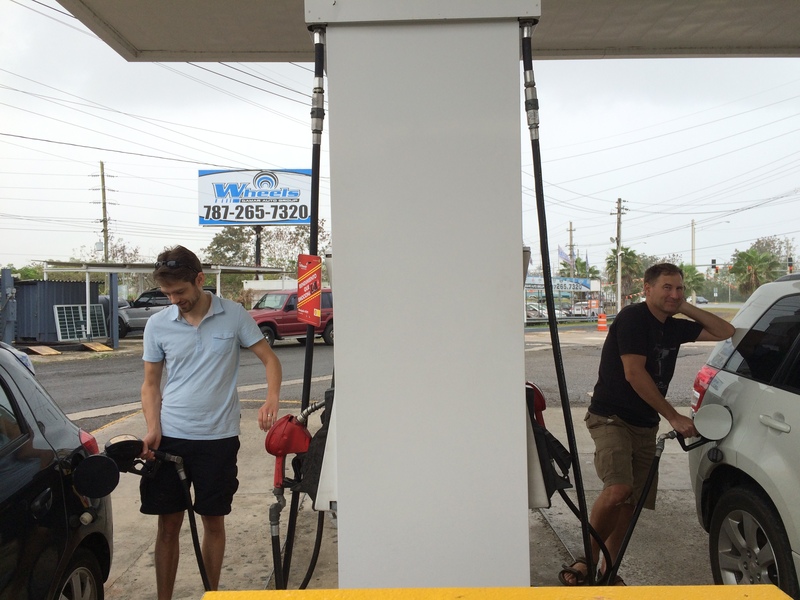 This entry was posted in Uncategorized and tagged gas, gas stations, Mayaguez, pay at the pump, Puerto Rico. Bookmark the permalink. 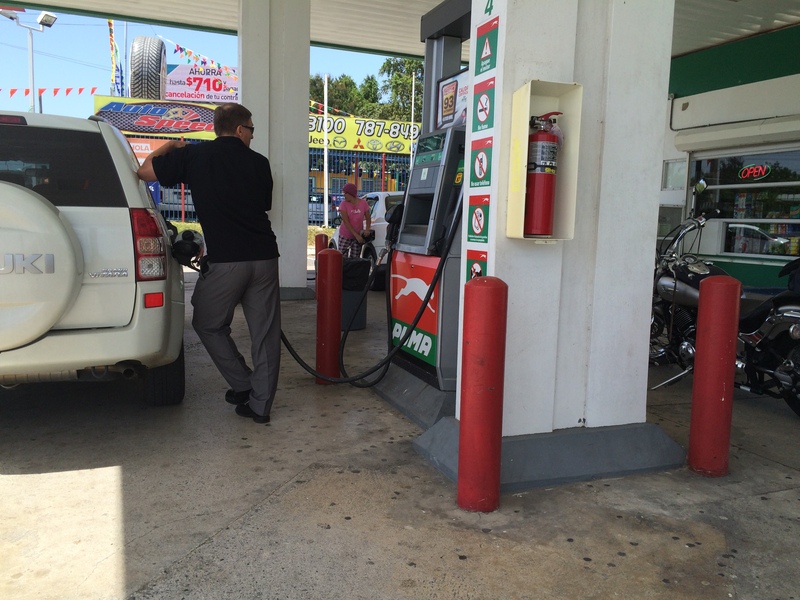 Gas stations make next to nothing on gasoline sales. So, in order for them to be profitable, they count on store sales. And a good way to guarantee store sales is to make you pay inside. So funny! So frustrating! But so true!